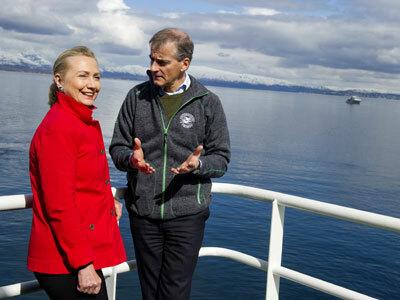 As Arctic ice recedes, exposing vast deposits of natural resources and new sea routes, US Secretary of State Hillary Clinton boards a research vessel in Norway’s northern town of Tromso, to demonstrate America’s interests the Arctic riches. ­Clinton’s brief sea voyage in Norway, on which she was accompanied by the country’s Foreign Minister Jonas Gahr Stoere, is part of her eight-day trip to Scandinavia, the Caucasus and Turkey. After taking a two-hour boat tour of the local fjord on Saturday, she told reporters that it was important to agree on rules of how the Arctic nations behave in the region, in order to ensure that their activities are economically sustainable and environmentally responsible. 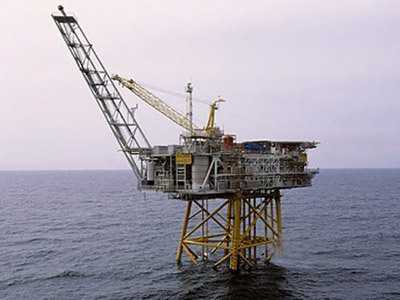 "A lot of countries are looking at what will be the potential for exploration and extraction of natural resources as well as new sea lanes," Reuters quoted Clinton as saying. 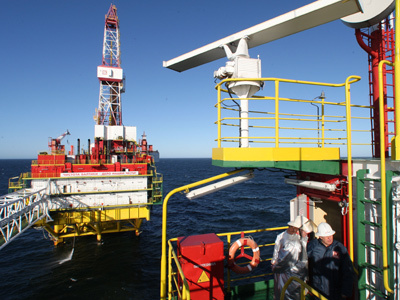 It is estimated that the Arctic may hold about 13 per cent of the world's undiscovered oil and some 30 per cent of its undiscovered natural gas. 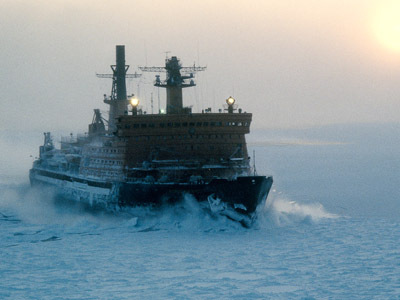 As the climate changes and the ice shield shrinks, Arctic sea passages open wider and remain unfrozen for longer periods, potentially cutting thousands of miles off trade routes between Europe and Asia. Simultaneously, this region is known for its pristine nature and fragile ecosystem, which could potentially suffer irreversible damage from exploitation of its natural and transportation resources. 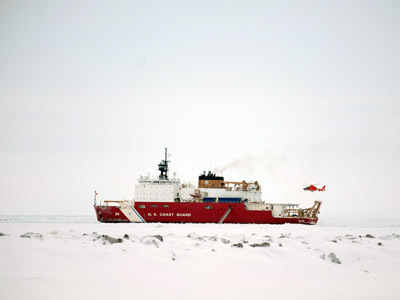 The United States appears to be the only Arctic nation that has not ratified the United Nations Convention on the Law of the Sea, which enshrines all the key policies governing the Arctic. It gives Canada, Denmark (which administers Greenland), Norway and Russia their legal rights to exclusive economic zones 200 nautical miles from their coasts and lays out how they may claim areas beyond that limit. The Obama administration is pushing to ratify the treaty, but critics on Capitol Hill say it would impinge on US sovereignty. And as long as Washington is not willing to board this ship, its future actions northwards remain largely unpredictable. On the other hand, in the eyes of other key players it simultaneously loses the right to claim a slice of the Arctic pie.